In 2018, tin prices were on a downtrend, but what is the tin outlook for 2019? Read on to learn what analysts had to say. After performing with volatility in 2017, tin prices had a rocky 2018, declining more than 10 percent during the 12-month period. The US-China trade war, which impacted demand from top consumer China and increased tin supply, put pressure on the industrial metal. As 2018 comes to a close, tin-focused investors are wondering what’s ahead for tin. Read on for an overview of the main factors that impacted the market in 2018, plus analysts’ tin outlook for 2019. Tin had a challenging 2018, with the price of the metal down nearly 10 percent on a year-to-date basis at the end of November. As the chart below shows, the highest tin price came in April, when tensions between the two largest economies, the US and China, escalated rapidly. Meanwhile, the lowest point came in early December, with slower-than-expected demand from China and increased supply hurting prices. According to FocusEconomics, a marked increase in tin supply in the first nine months of the year from Indonesia, the world’s largest exporter, has weighed on the price of the metal. Indonesian exports in the first nine months of this year totaled 63,000 tonnes, up 13 percent on 2017. October exports, however, slumped to 5,109 tonnes, the lowest monthly total since April, and could fall further over the remainder of 2018. “This was only partly offset by a downturn in tin production in China, which remains the world’s largest consumer of the metal, as well as by falling exports of tin from Myanmar,” said Almanas Stanapedis, economist at FocusEconomics. “In addition, softer growth dynamics in China this year, in part due to the ongoing and intensifying trade war with the US, have taken a toll on Chinese manufacturing growth and weighed on demand for the metal,” he explained. The most recent US Geological Survey report on tin shows that world tin production increased slightly in 2017, amounting to 290,000 MT compared with 288,000 MT in 2016. China remained the largest producer of tin at 100,000 MT, with Indonesia coming in a distant second at 50,000 MT. According to the US Geological Survey, the overall incline in tin production came on the back of higher prices. That coincides with the fact that the tin market has been in deficit for nine of the last 10 years, and is expected to remain in deficit as tin use increases. Looking ahead, despite ongoing trade tensions and the associated cooling in Chinese demand, the mid-term outlook for tin prices remains bright. 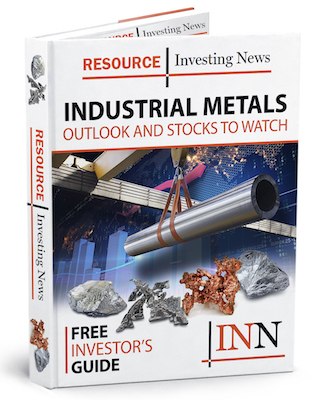 In terms of demand, there are “favorable demand prospects stemming from the metal’s usability in new technologies, such as electric vehicles (EVs), robotics and renewable energy,” Stanapedis said. In fact, EVs could be a big deal for tin. Currently graphite is the main anode material used in lithium-ion batteries, but it is believed that tin could act as a more efficient material for longer-distance batteries, with demand picking up from 2025 onwards, according to the International Tin Association (ITA). To add to that, limited tin supply, partly due to expected output cuts across some of the major tin producers, “should more than offset any downward pressures to prices due to ongoing global trade tensions and a slowdown in the Chinese economy,” Stanapedis added. Meanwhile, ITA analyst Tom Mulqueen believes the tin use outlook is weaker for 2018. “[That’s] due to a combination of factors including escalating trade tensions and macroeconomic developments, especially in China where other factors are hindering growth. However in other regions growth looks more positive, notably in solder,” he said. The ITA forecasts that the tin market will be in a supply deficit to the tune of 7,500 tonnes in 2018, while global usage growth is expected drop from 4 percent in 2018 to flat in 2019. Looking ahead, the tin price is likely to remain stable throughout 2019, picking up to around US$22,000 per tonne towards 2022, Mulqueen said. Meanwhile, panelists polled by FocusEconomics estimate the average tin price for 2019 will be US$20,268. The most bearish forecast comes from Euromonitor, which is calling for a price of US$18,761; meanwhile, Deutsche Bank (NYSE:DB) is the most bullish with a forecast of US$22,046. Get the latest information about companies associated with Tin Investing Delivered directly to your inbox.